This time around it was Gujarat. I went to Ahmedabad and Surat with my friend Shweta. She works for an NGO, Parisar. Her goal was to meet different NGO’s in both these cities and find out what they do and how they do it. All these meetings were extremely interesting, I went with her and posed as an intern( not a badminton player) and took down notes. Our other goal of course was sight seeing and exploring the cities. Let’s start with Ahmedabad. 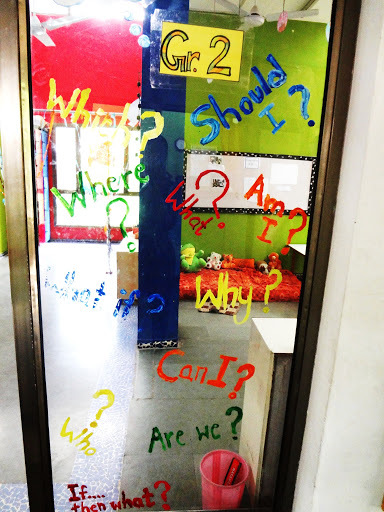 in a school we visited- all the important questions of life on one window. we also met some interesting professional photographers- look closely into that wall, you will see a camera. 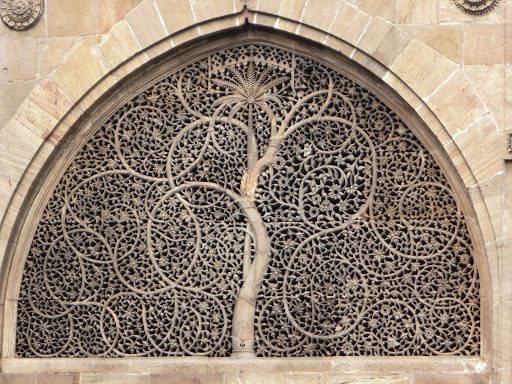 Ahmedabad is the capital city. There are huge roads all over the main area of the city. The signals though are never working, not one. I found this really surprising, during the peak hours there would be chaos managed by the traffic police, which looked absolutely overwhelmed and daunted by the task. Being pedestrians is extremely dangerous, especially on the cross roads. Everyone is almost pouncing on each other. 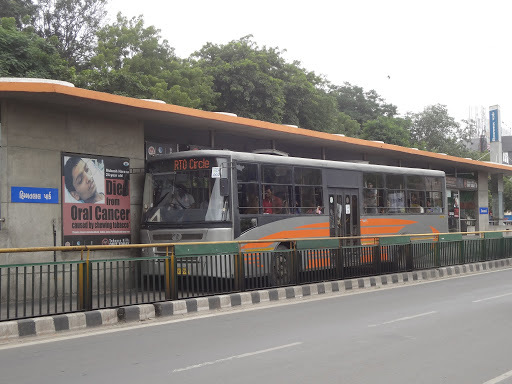 The highlight of Ahmedabad is of course the BRTS. It is well run, covering most of the city. We used it for a very small distance and found it very easy to use. 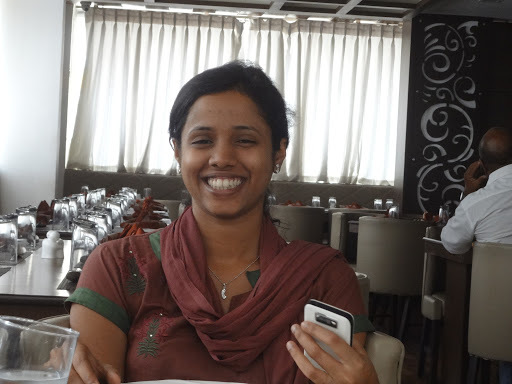 Though Karen Nazareth the executive director of SAATH gave us an interesting perspective of the use of BRTS. 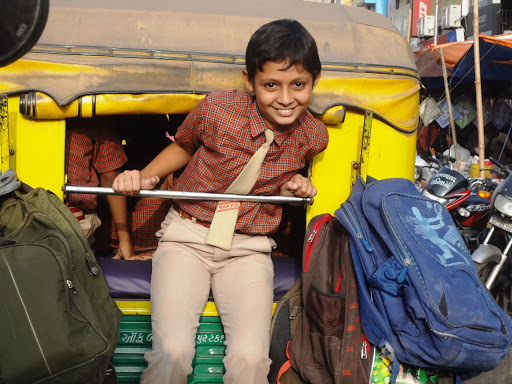 She told us that the people in the poorer sections, especially women prefer the rickshaw over the BRTS. The reason being that the BRTS looks too swanky and technical to use. They just don’t relate to it and almost avoid using it. I don’t blame the women. 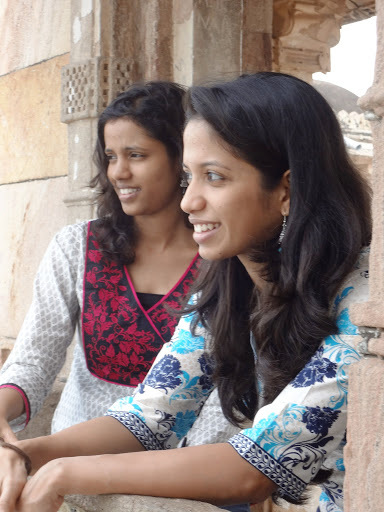 Both I and Shweta had to go from one end of the city to other,and we didn’t know much. We took the rickshaw everywhere. The men riding this rickshaws were extremely decent and honest. They knew each and every address we asked them to take us to. They didn’t charge us more than the meter and bonus they were extremely informative. 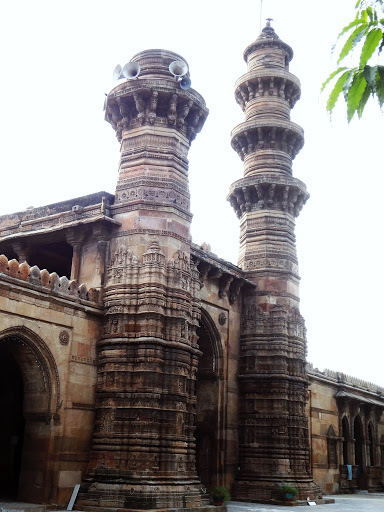 Ahmedabad is host to a lot of mosques, the Sabarmati Ashram, the Jhumta Minnar, the Step-Well, Sabarmati riverfront, and Akshardham. I’m sure there is much more but these are the most famous and we didn’t have too much time with us either. The mosques mostly are situated in the old part of the city. The mosques are extremely beautiful structures. The Jama Masjid is huge. The architecture is typical in most of them. The work is all done in stone and with stone. 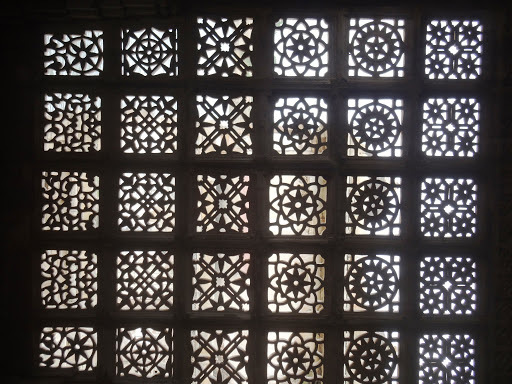 The windows all have different designs. 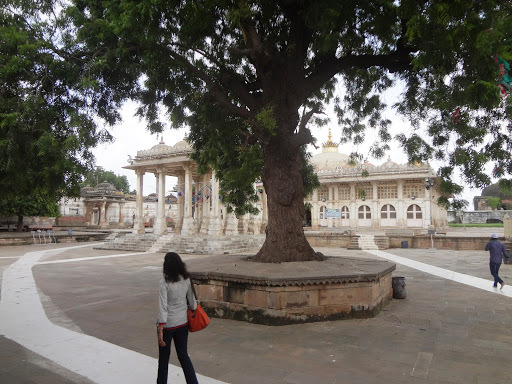 Out of the mosques we saw, we both fell in love with the Sarkhej Roza. 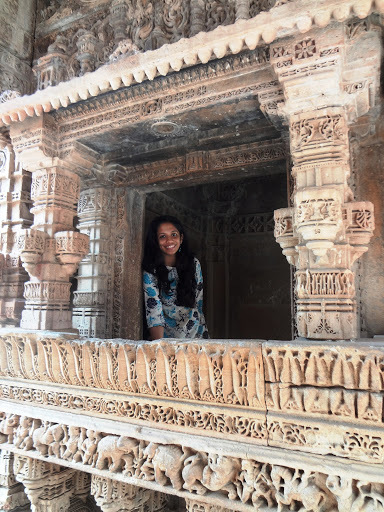 The Sarkhej Roza has a mosque, the king and the queen palaces which are mostly broken and only some walls remain. There is a huge lake right in between of the structure. It’s quiet and extremely peaceful. You can sit down in one the windows that looks over the lake and get lost in a different era. The Jhumta Minnar is again a very fascinating structure. 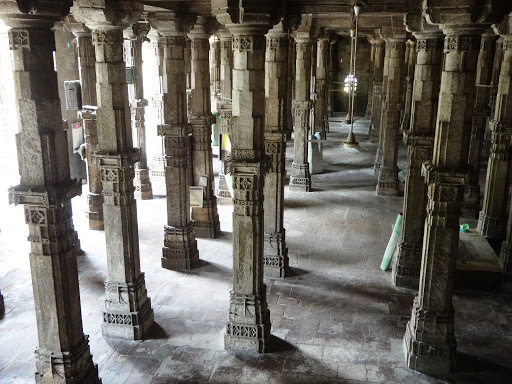 There are 154 pillars in total. The most interesting story of this Minnar is that if you climb upto the top floor and push the Walls, you get a feeling that the MInnar is swaying. Thats how it’s known as Jhumta. Though today you are prohibited to go up, as some fools use these things to kill themselves or accidentally fall. It would have been so cool to experience it swaying. 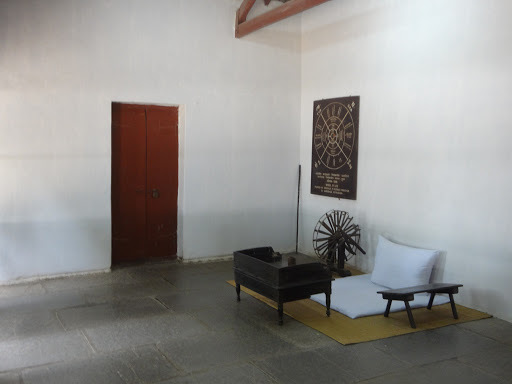 The Sabarmati Ashram is another place that we loved. This is where Gandhiji lived with Kasturba for a very longtime. It was home to many poor people, especially the untouchables. Gandhiji sat on his charkha weaving clothes or tended to animals. It’s right on the banks of Sabarmati. 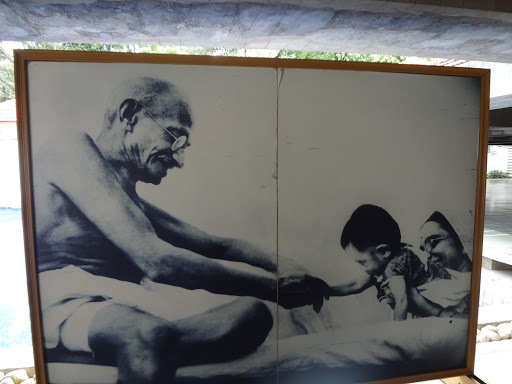 It has a collection of great photos and paintings of Gandhi and an account of the history of the place. When I saw the room where Gandhi used to live and work, I did get some goosebumps. We sat there for a while and felt really peaceful. You have to see it atleast once in your life time. Another interesting place is the Step- Well. It’s called a step well, because you have to climb down 4 floors to reach the well. 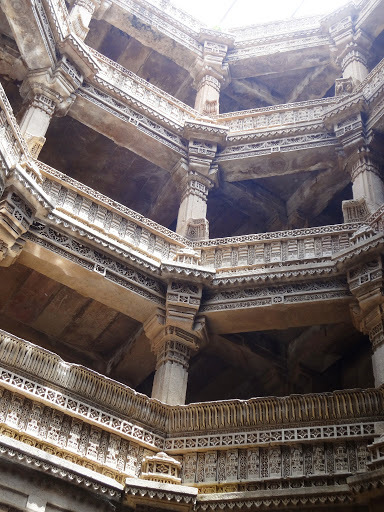 The step well was made by a Hindu ruler, and you see inspiration of a lot of muslim architecture as well. The step- well was made exclusively for the women. This was where the women would come to gossip, to bath and to pray. The temperature of the water remains refreshingly cool in any season of the year. 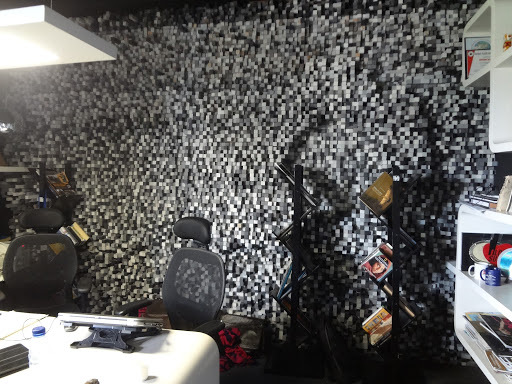 There is unbelievable amount of work done on the Walls. Every wall is worth your time architecturally. The last stop in Ahmedabad was the Akshardham temple. We were disappointed by it. It is a relatively new structure in the honour of Swami Narayan. It’s a huge place made of marble. When you go inside there is a huge sitting sculpture in gold of the Swami. I am personally not a fan of the concept of these temples. It promotes everything other than religion. It offers pav bhaji and Akshardham labeled t-shirts. I have no idea from where the money comes from. If our religious gurus donate all their money to the government we would not have an economic crises for the next 20 years at least. After two and a half days in Ahmedabad we headed to Surat. Surat is a developing city and apparently the second cleanest city in India. We didn’t find it to be that clean, though. Also the city has not had public transport or bus service for the last 20 years. 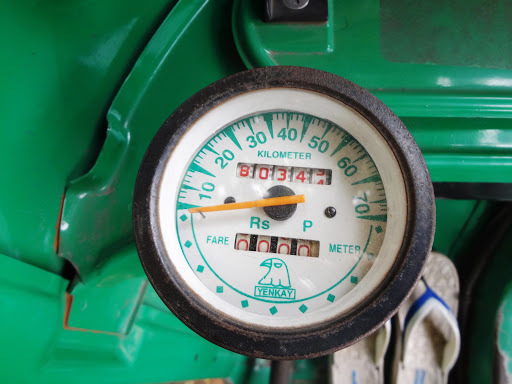 All there transport is dependent on the rickshaw, which doesn’t have a meter. There are no traffic signals and being pedestrian is a crime. The city hosts 20 flyovers, and also one that stretches along for 15 kms. The city doesn’t need the flyovers really. The roads are huge and have comparatively less vehicles. There are also 8 to 10 malls in the city. The city doesn’t need the malls either , just like the flyovers. Eighty percent population of the city is poor or lower middle class. I have no idea from where did this mall culture begin. I rather use that place up for a garden or even better, a school. Surat has nothing to offer sight- seeing wise. Even the local people when asked, say,” Yahan pe Kuch nahi hai. Malls Dekho aap” This is true. 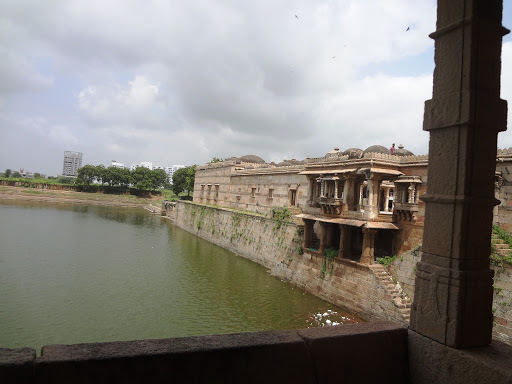 There is a fort which is breaking down and being converted into government offices. We tried to find the Dutch Cemetery for an hour but couldnt find it. The only thing in Surat is the cloth Market and lots of places to eat. 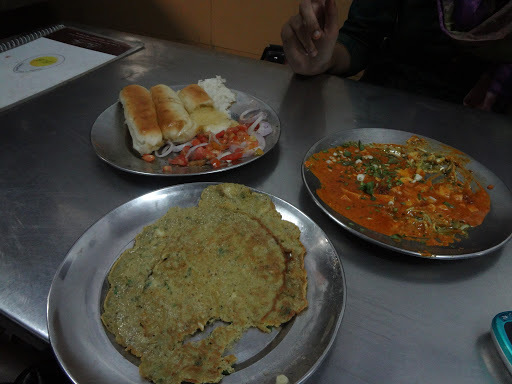 I loved the Egg Specialty restaurant called Bhai Bhai. It hosts around 250 types of preparations of egg. It’s delicious, it kind of let go of all the disappointment I felt of that fort being converted into a government office. I didn’t have an exact answer to his question, ” What is development?”. I need to find the answer, I think all of us need to think about it. The next few years are crucial, it is the time where we have to make a choice. So what’s it going to be, a mall or a school, river or a road, hills or buildings, flyovers or cycle tracks, religion or a clear conscience? Time will tell! HE POSED FOR ME- HOPE HE NEVER STOPS SMILING!